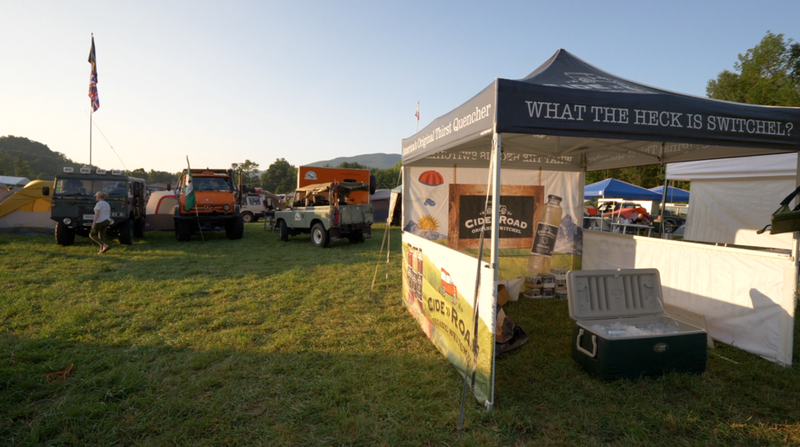 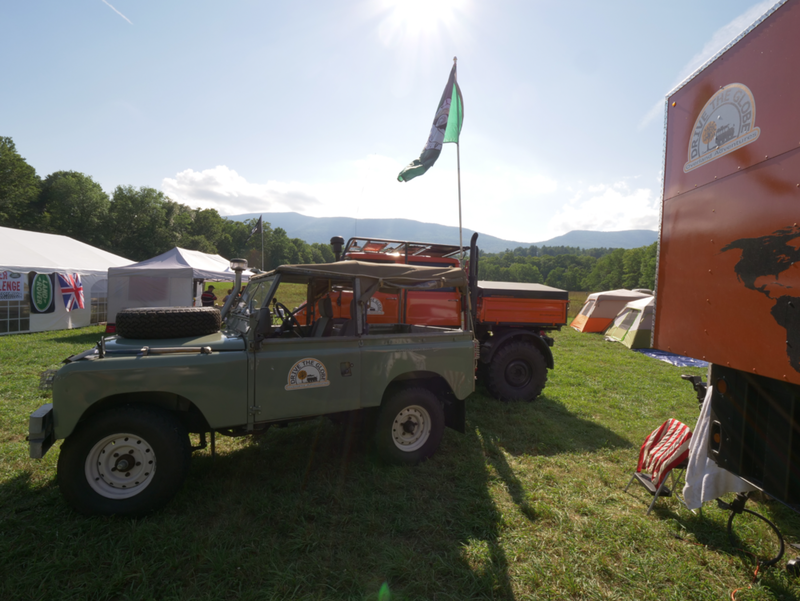 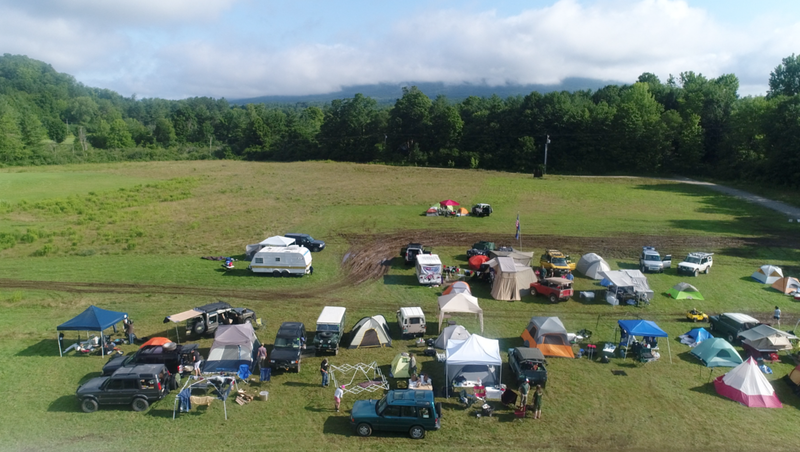 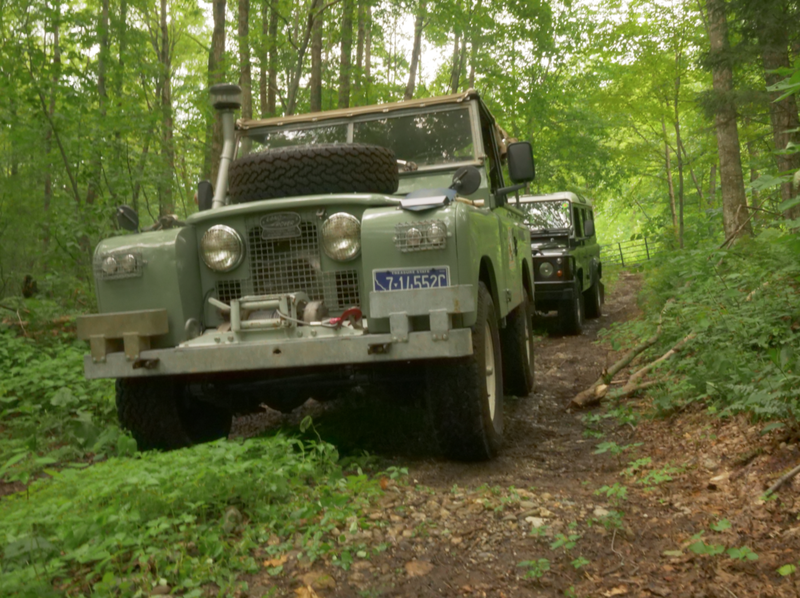 A handful of Land Rover aficionados got together with the crazy idea that off-roading could be combined with a vehicle based gourmet cooking challenge and the Muddy Chef Challenge was born. 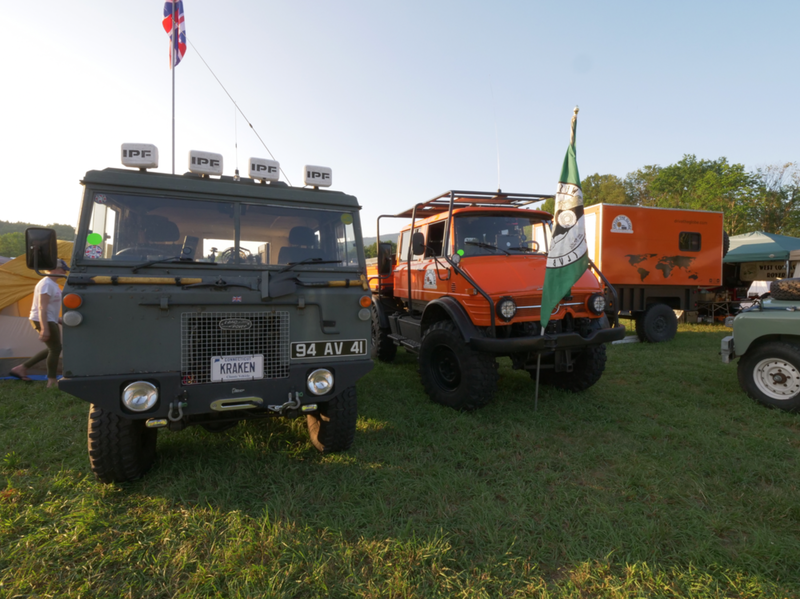 The 7th Edition of the Land Rover Muddy Chef Challenge began with a bang- a bang of thunder that is. 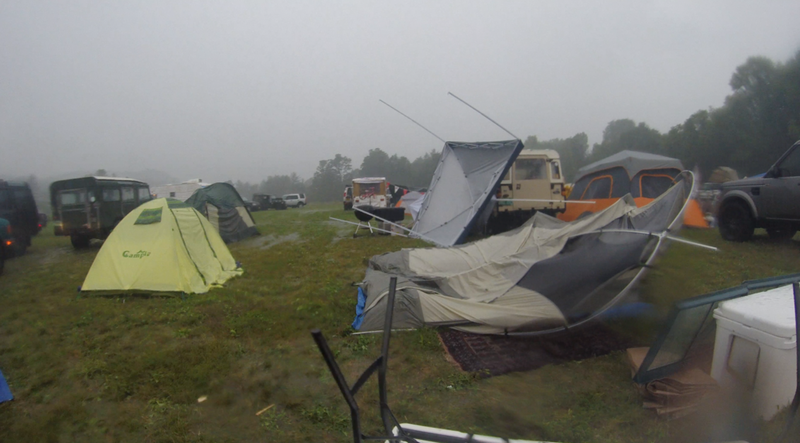 Friday was marked by a severe storm that badly damaged our camp village. 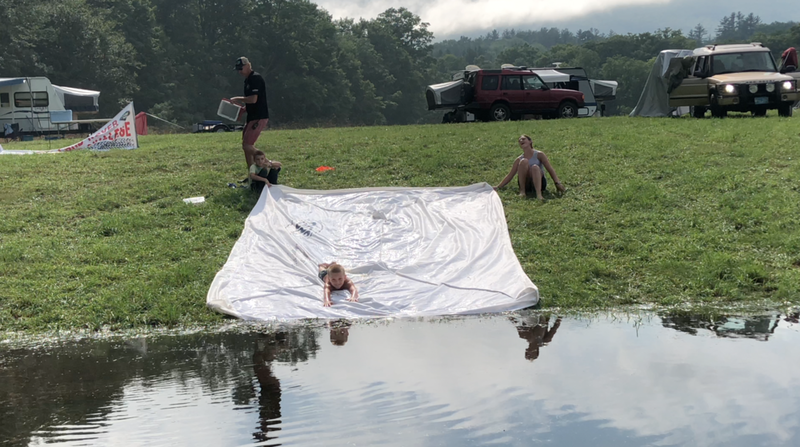 Part One of three videos from this year’s Muddy Chef Challenge. 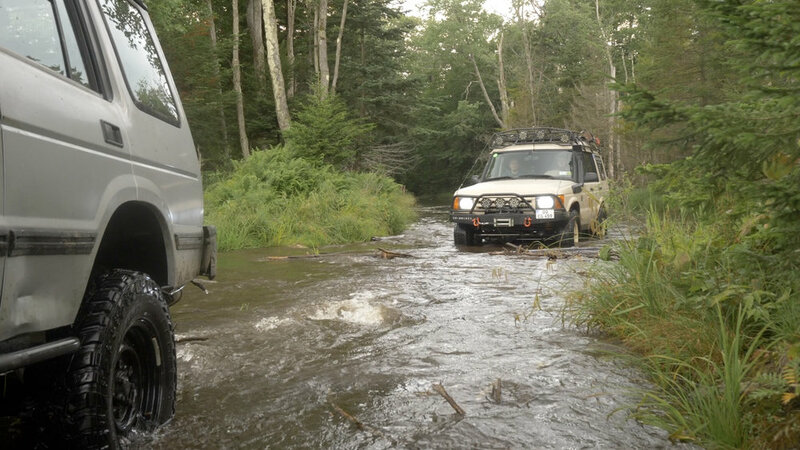 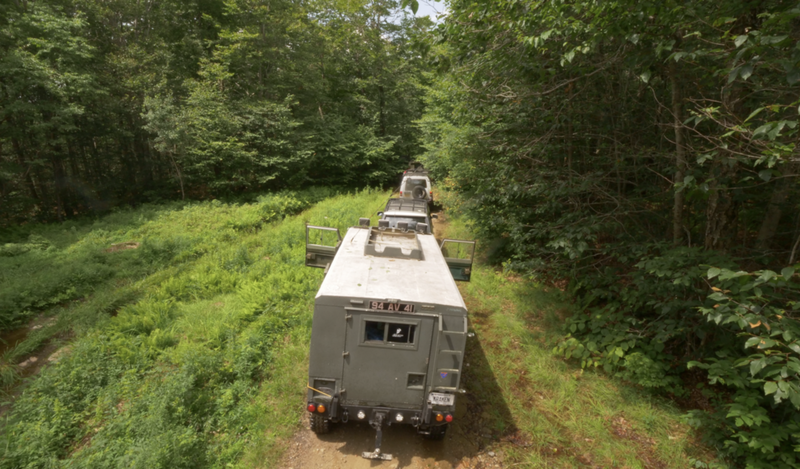 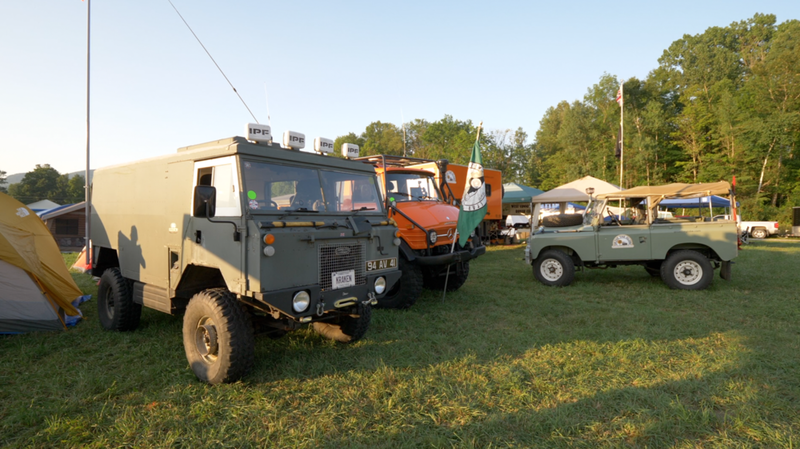 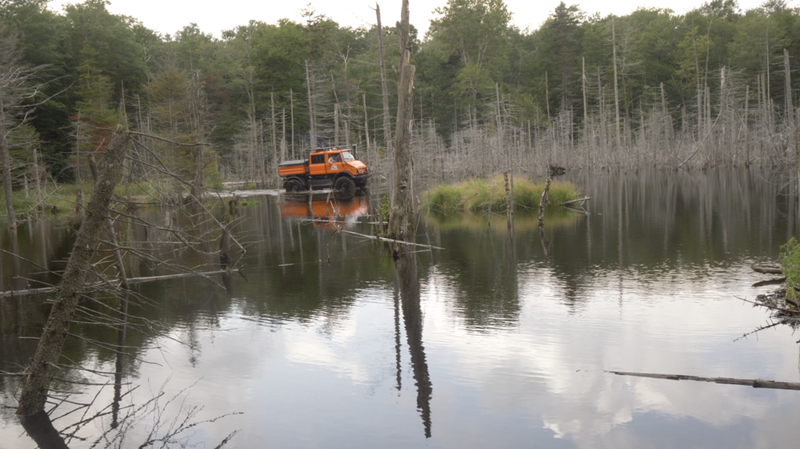 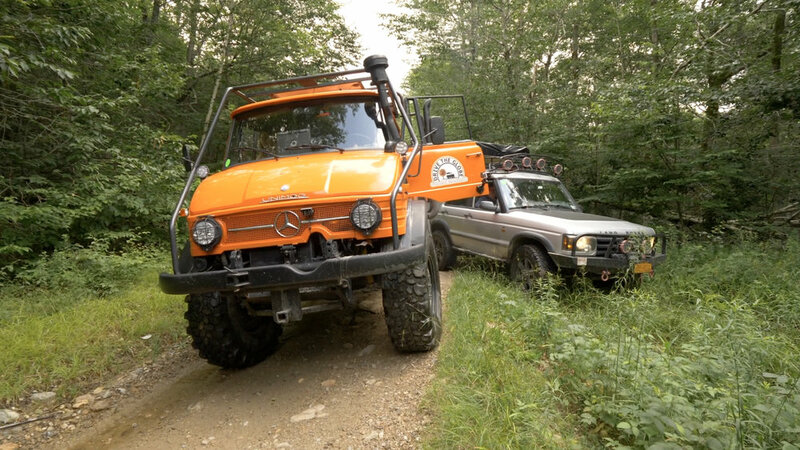 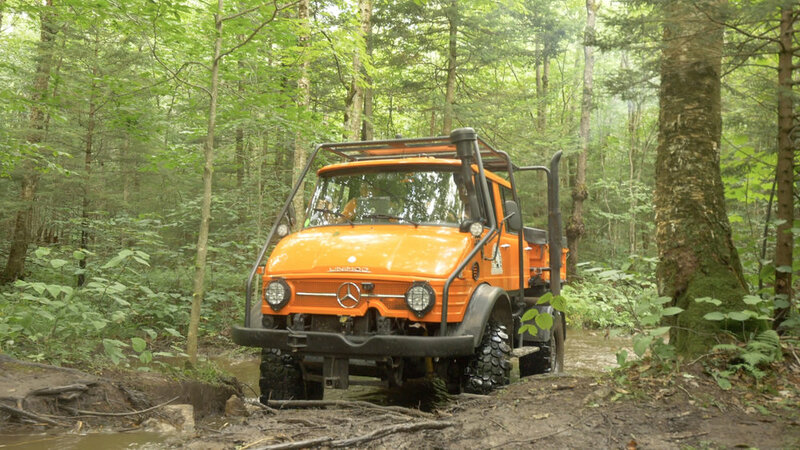 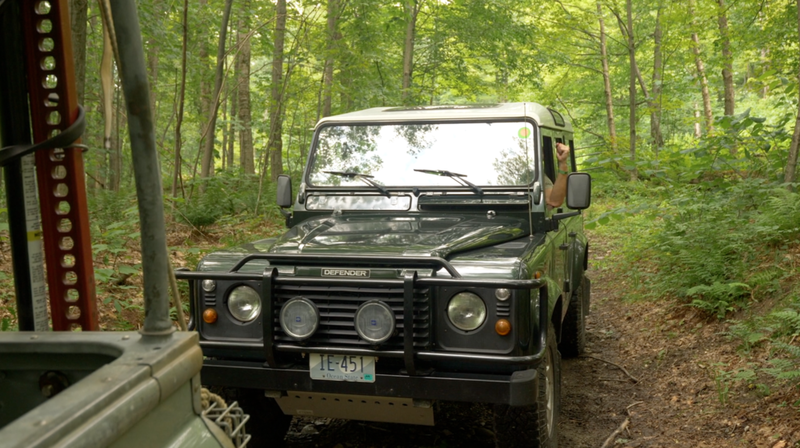 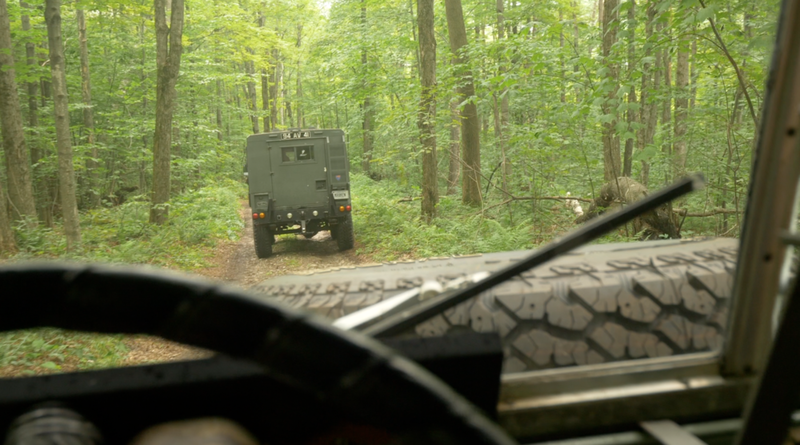 A Mercedes Unimog, a Toyota Tacoma & 7 Land Rovers, including a rare forward control 101 battle the flooded and storm damaged trails of Southern Vermont. 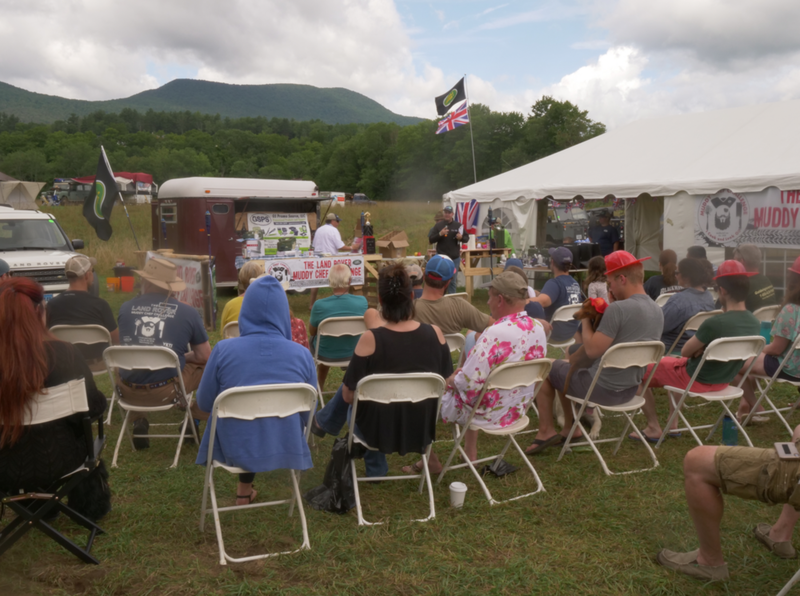 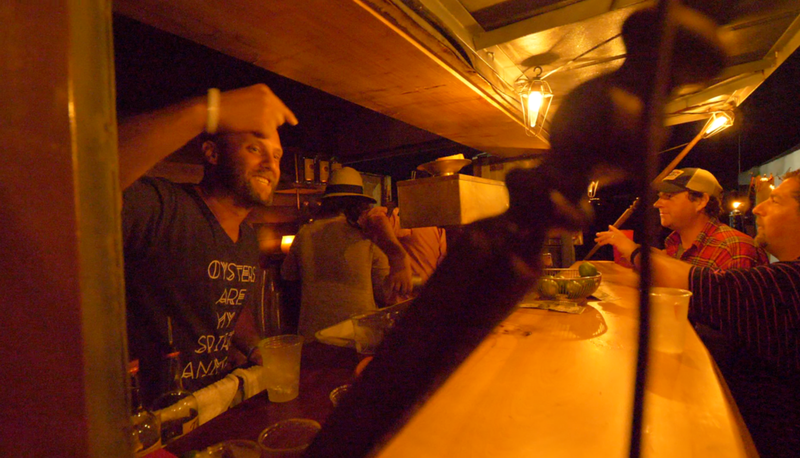 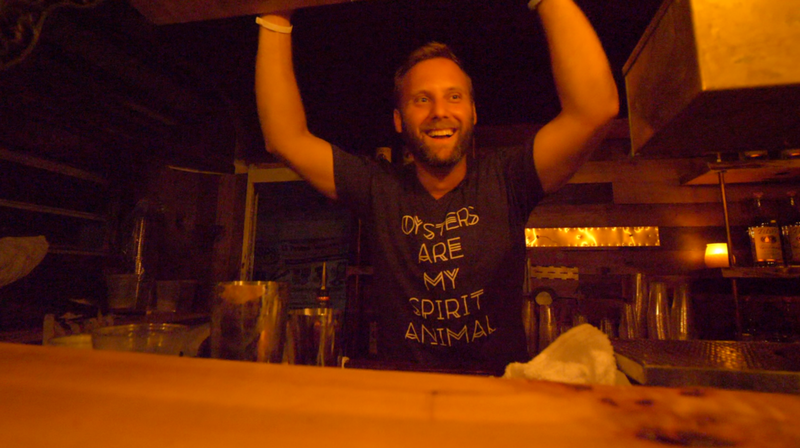 Part Three of three videos from this year’s Muddy Chef Challenge. 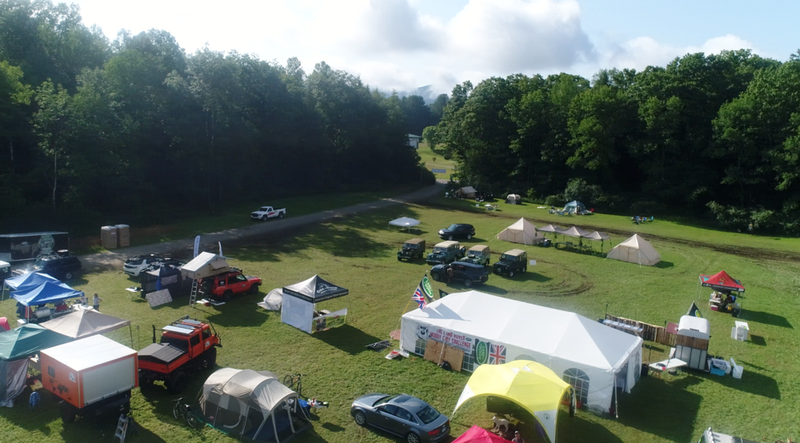 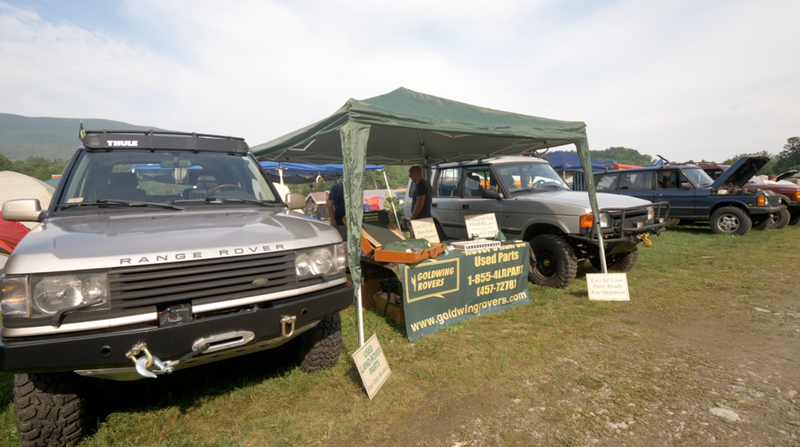 The 7th Edition of the Land Rover Muddy Chef Challenge. 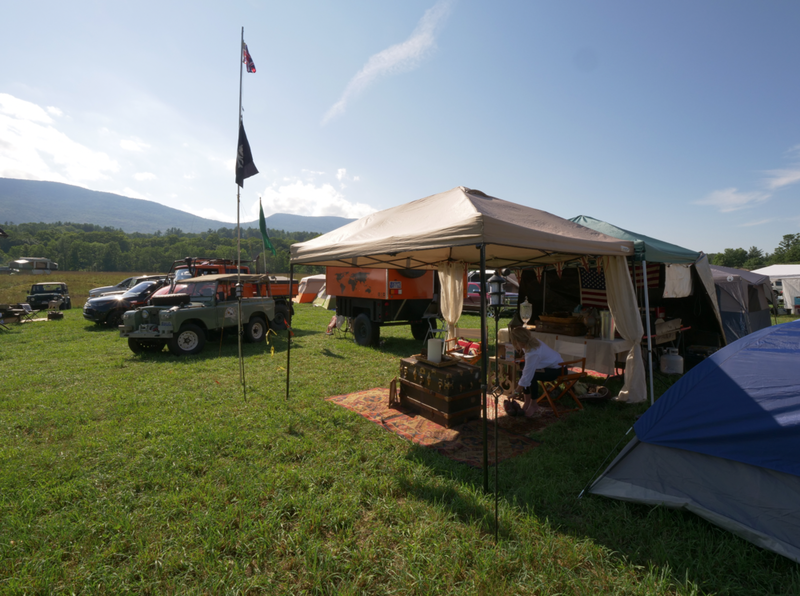 A weekend of off road adventure, cooking & camaraderie. 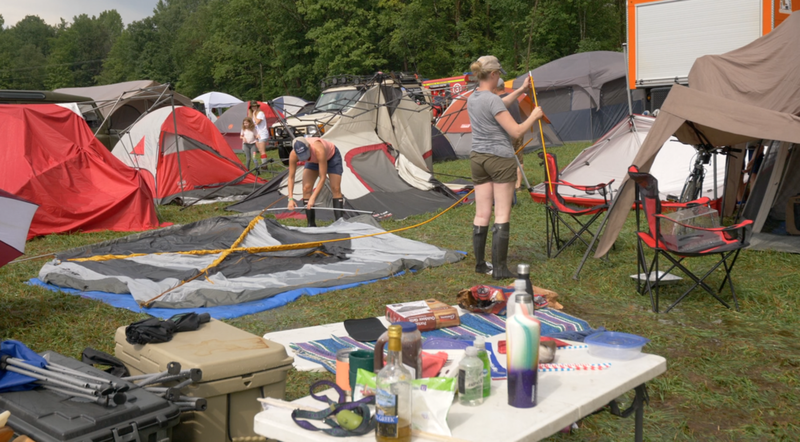 Part Two of three videos from this year’s Muddy Chef Challenge. 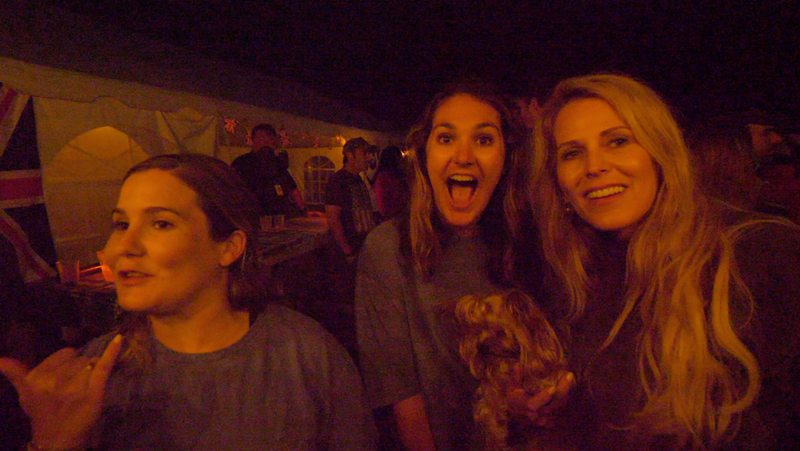 Patience: Photos may load slowly..... 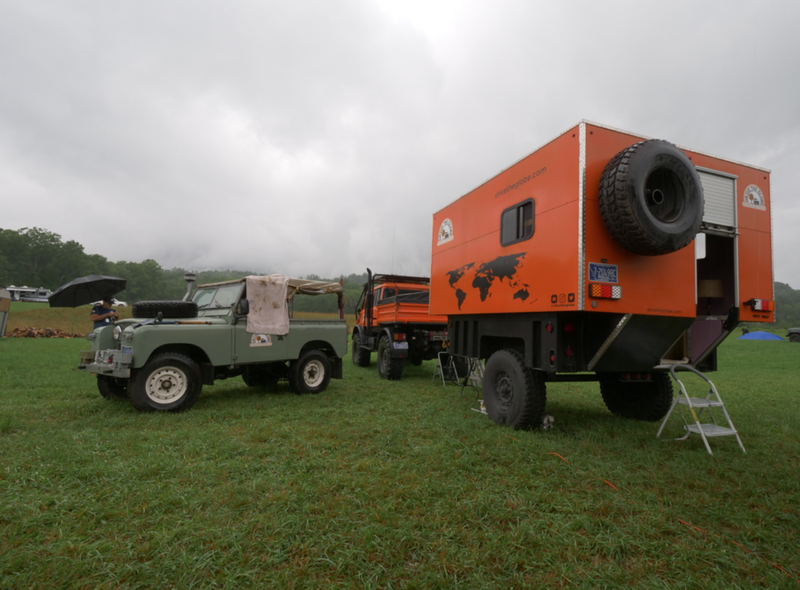 There are a lot of them. 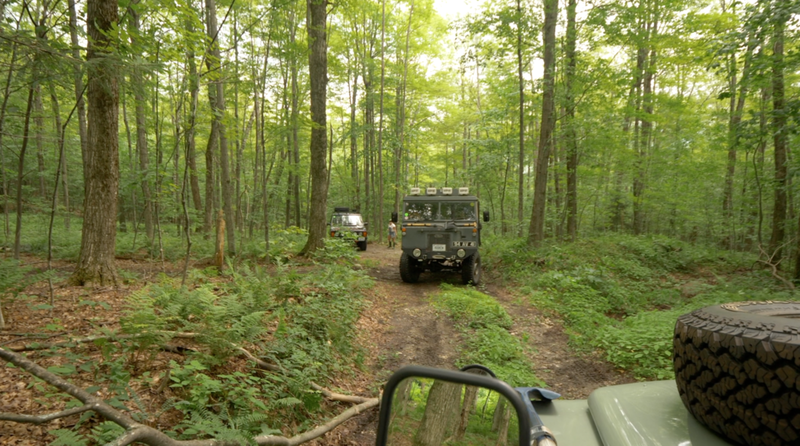 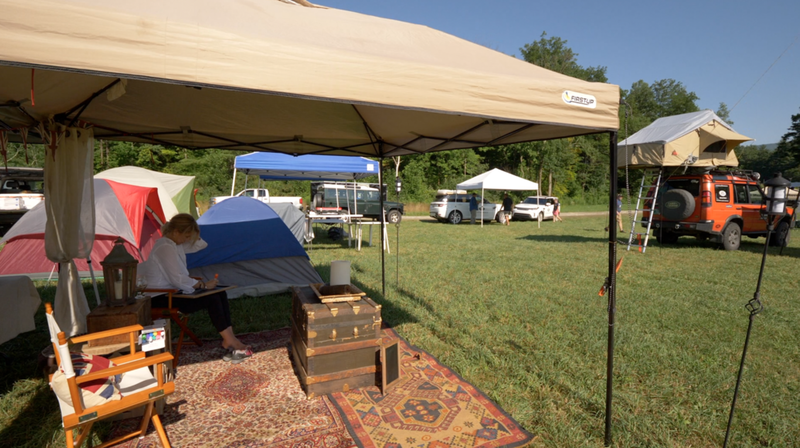 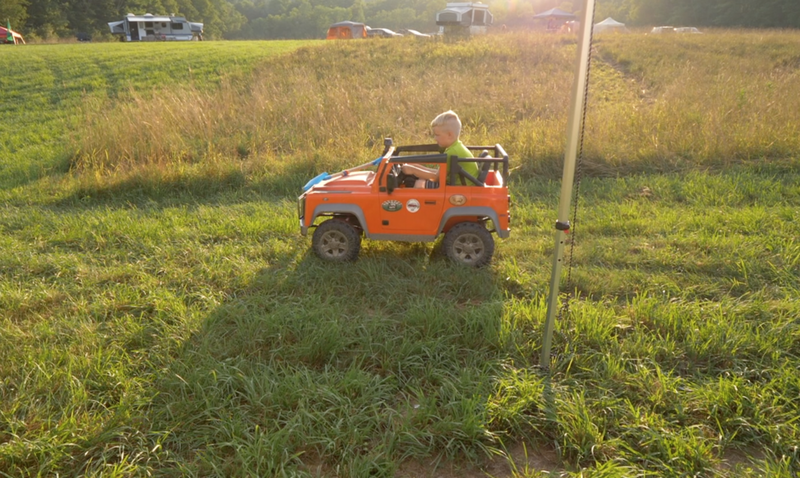 Scenes from the camp area & first off road trip to the quarries. 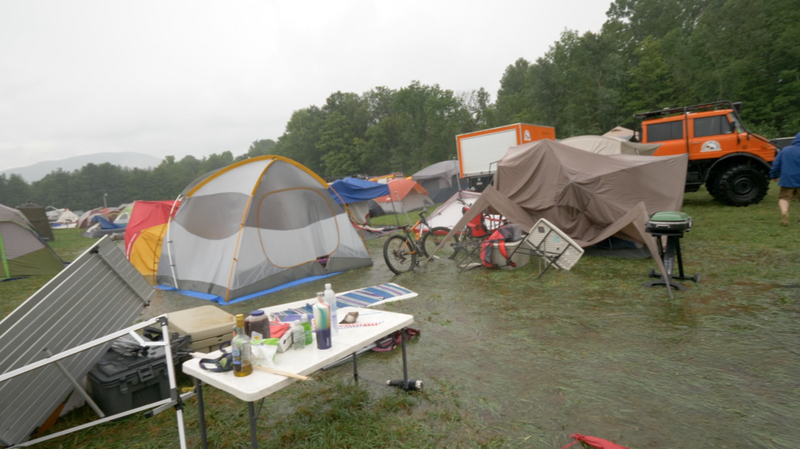 Pre- epic thunder storm. 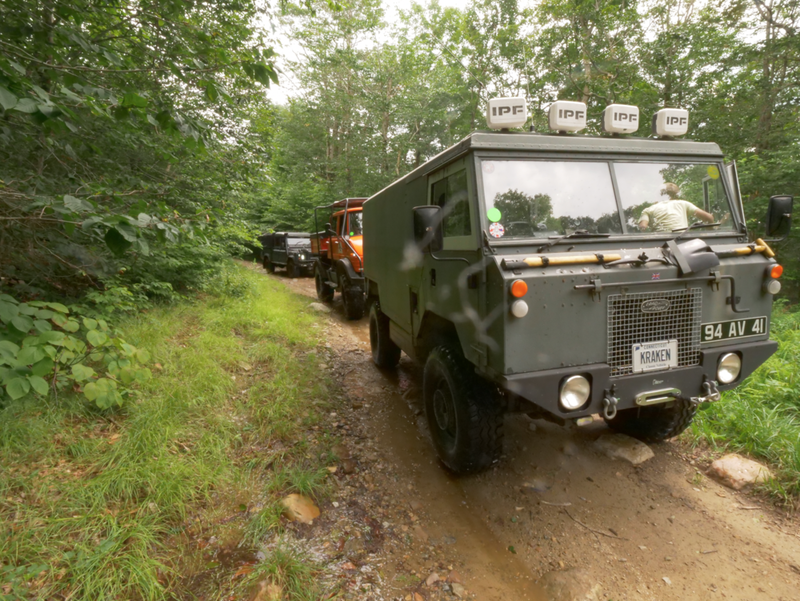 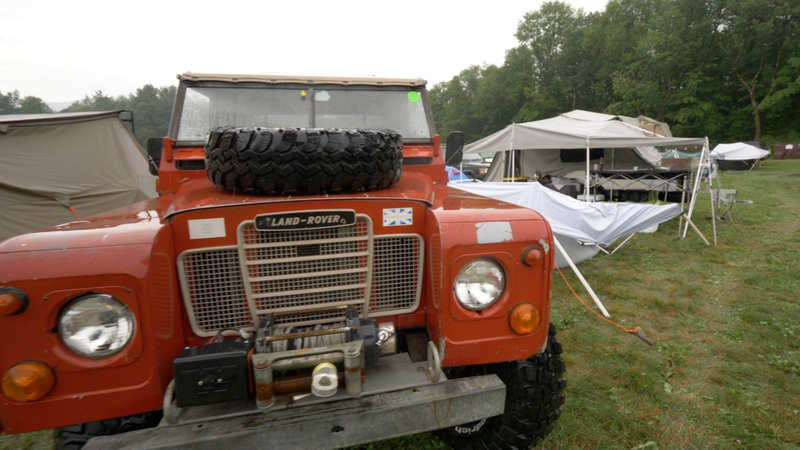 The group of 9 vehicles included a Toyota Tacoma, Mercedes Unimog, Land Rover 101 Forward Control, a Land Rover 130 Hi Cap, Range Rover, Defender 110 and several Land Rover Discovery's battle the extremely wet conditions & multiple downed trees across the trail. 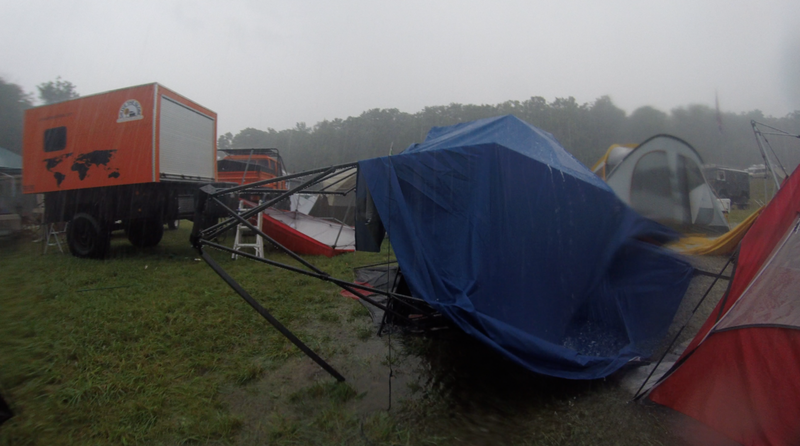 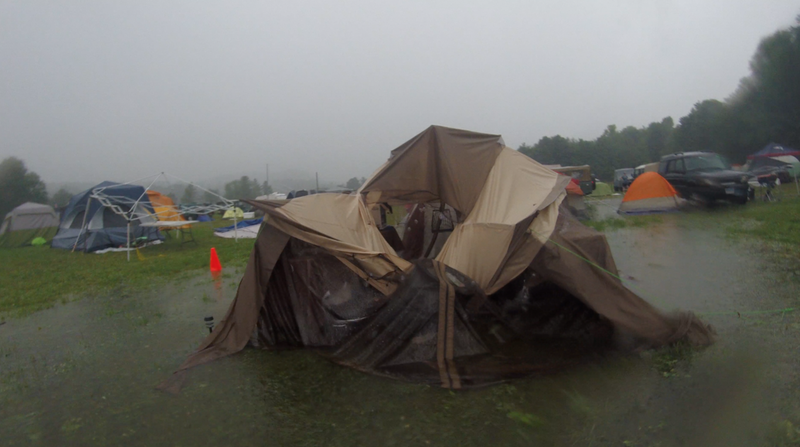 A severe thunderstorm struck our camp Friday afternoon causing significant damage.